I would like to commend a member of staff called Kyle O'Reilly, who was working in the Bridgend Branch of National Tyres today (1/3/19) He went out of his way to help me and was very polite and very knowledgeable about what I needed. He explained everything to me until I was happy with the work and the price. I have always gone to National and the majority of the staff that work there have all been wonderful - I have never felt ripped off, but always satisfied that I can trust them to give a fair price and do good work. People are always very quick to criticise, so I very much wanted to leave some praise. We even shook hands after the job was completed. Thank you Bridgend Branch. Work started bang on time. Great welcome from staff when I arrived and guided me into spare bay. Work completed within an hour. I spoke with richard Lewis whose customer service was faultless form beginning to end. I have always had tyres changed with national and recent experiences in this regard had me doubting my choice of retailer. Richard has restored my faith in National Tyres and I will undoubtedly be back. I cannot praise him enough. Good Price Good Service they like satisfied customers! Always get great professional service from the staff in Bridgend. All the staff at your Bridgend branch have been extremely helpful and have gone above and beyond to assist my needs. I would like to mention the service from Cameron has been brilliant. Staff on site were really helpful and professional. Great service! The staff were very polite and extremely profession in the way they went about their work. Very helpfull, polite and efficient. Great service, straightforward and quick, 4 new tyres in under an hour. Having used the local branch of National Tyres for replacement tyres on work vehicles I was more than happy to drive the 17 miles and have the tyres replaced on my own private vehicle. Friendly and knowledgable staff influenced this decision. Easy parking. Clean site, experienced, friendly and informative staff. Competitive prices. Very helpful, explained and shown where problems were and the price is reasonable for the tyres I had. The staff were very professional and I was confident that the knew what they were doing to a high standard. I thought the 2 guys on duty were professional, clearly knew their stuff and were very customer focussed. I think you have a great team there. They made sure I understood the recommendations, kept me informed and did a good job. While I was there, another new customer (an older man) told me about other tyre suppliers in the area which were not as good. That made me very relieved I'd chosen National. Speedy service in getting an exhaust system in and fitted next day. Taken to work and collected. Chatty, competent and knowledgeable staff. Staff are friendly and informative, but I was waiting a lot longer than I was told to expect. The time taken to advise me of the tyres I required, and patience in explaining the differences on my options. I had 4 premium Bridgestone tyres fitted and tracking checked and aligned. There was only two in stock, however one of the team made a call and collected another two from a local National outlet . The tyres were on a promotion at the time so I saved some money as well. I had checked some local prices before I made my decision. Although that was helped by the staff. We called in on the off chance to bridgend branch. The lads were possible, tell and helpful. They changed my punctured tyre immediately. Really lovely people. Because I recieved very good service. Friendly and professional service and very reasonable prices. Good and quick service for reasonable price. you were really friendly and helpful the last time i took my car to you so for that reason i am scoring a 9. Quick, easy and didn't have to book appointment. Very good service and fast fitting. Price and they were quick doing the job. Friendly and accommodating service by all the team. Took time to answer my questions. Fair price and fast turnaround. Personal attention and service from the team was very good and kept me up to date with progress etc. 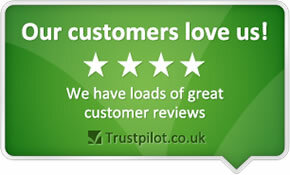 Good service, informative and I was given prices as a whole as they would be when work completed. Dealt wih National many times, Cardiff, Bridgend and Carmarthen and always been more than satisfied with the staff and service. staff very good and help full. Specifically, the tie-up with Tyre Shopper. chris at bridgend was upfront and helpful. I will go to his place next time I need help with my car. I have already recommended him. Value for money/met a quote obtained elsewhere. Can do attitude. Well informed. Overall service. Stands out from nearby competitors (Celtic,ATS,Bathwick)with excellent and efficient service,availability of stock and competitive prices. This was not my first visit to the Bridgend branch. I have always found them to be polite and helpful and Chris and James maintained the tradition on my visit today. Friendly staff, provided service as quick as they could. Good polite staff who are happy to carry out reasonable requests. The two guys working there were very busy but remained calm and when Chris came into reception to answer the phone he gave regular updates on the progress. Greg did not stop for the hour an half I was waiting. Top marks to both of them. It was the best price of all places I checked and they were quick at replacing the oil. The man was very friendly informative and was a pleasure to talk to. Friendly staff, willing to beat other local prices. Tyres changes very quickly. Need to buy another tyre. reasonable prices and special offers on tyres which enabled me to buy top quality.The person I dealt with was courteous and helpful. Prices are fairly good & service quick. Very good customer service, we were kept informed on each job and also shown the reason why the job had to be done. Very professioal service, you're always greeted with a friendly smile and a pleasant hello. The staff were helpful and I had been sent vouchers in the post the day before and had a deal on buying 2 tyres. Nice staff, good price and they took care with my car as I watched from the waiting room. I have had to have new brakes, exhaust and 2 tyres in the last two months. I took a chance on National as their prices were very reasonable. I was impressed with the price but also with the first class customer service provided by the Bridgend Branch. very friendly staff, good prices. Staff were polite, helpful, quick and efficient. Friendly efficient service. In my experience they always recommend the most appropriare service/product not necessarily the most expensive. I wouldn't go anywhere else. very helpful and good value for money. The professionalism, efficiency and friendliness of the people at the centre. Excellent staff who were extremely helpful and genuine. Supervisor Stuart Morgan specifically is an outstanding member Of staff who puts the customer in the picture in a genuine style and a sense of humour!! Excellent price for tyres. Polite efficient team. The staff were friendly and very helpful. Giving advice and prices before doing anything. Very helpful and always offering advice on options / alternatives. Tyres and other items are always available and I have always been treated well. Good , quick, friendly service. Great price and fast efficient Service by Stuart and Ian and all on a bank holiday monday! Fast,efficient service at a very good price. Great service, friendly staff. Great prices. Friendliness of staff. Helpful, non pressured advice. Expertise. Seemingly good aftercare service. Good prices and good friendly service in the Bridgend (South Wales) branch. staff approachable ,easy to communicate with . Very friendly service with good advice. The service I obtained at the Bridgend outlet was excellent. The staff are friendly and professional and complete the job within agreed timescales. We have always found their attitude very professional and helpful and the service provided is first class.Prices are also competitive and staff are knowledgeable and helpful. Usual high level of professional service and pricing. Firstly my telephone inquiry was dealt with politely and efficiently.An appointment was made that day and the two tyres fitted quickly. The fitter also gave a report on the other two tyres. Friendly service, helpful, quick service. A friendly service, good products and they drive car into garage and onto ramps for you! Excellent service as a always, professional, courteous, competitive prices. Very helpful but they left the locking wheel nut on the tyre as I drove off! Would have been a 10.
very friendly, professional and helpfull. kept me up to date with the work they were carrying out on my car. Staff had the technical knowledge for all the questions I had on the faults with my car. Cost of the repair was a lot cheaper than other competitors. Buy one get one free discount enabled us to have the tyres at competitive rates. The lads are very polite,professional and helpful. Daniel and Stuart steal the show. good service and availability, good price. never asked to recommend a tyre supplier, but if I was, it would be national, as I have always used national. Very friendly and helpfull. Staurt was very good and knowlagable. The staff were helpful and friendly and changed my tyre very quickly while I waited. The service was very swift. The staff were courteous, friendly and helpful. We were not pressured by hard sales! The Bridgend store staff were very friendly and helpful and the tyres I purchased, were good value for money. The service was also very quick, which was perfect, as I had to pick up my daughter from school. I have already and will continue to recommend to friends and family. The service is always excellent and the staff are always very helpful, and provide you with all the information you need to get the best deal. Noticed that after fitting of rear right tyre, that the alumium trim has been marked. When checking other new tyres which were fitted yesterday on a separate invoice number, one of them is marked too. Helpfull staff and reasonable prices. Good fast reliable service at a good price. the people were very helpful and friendly and the prices were the best i found. will definitely be using this place again! very helpfull, shown me a problem i didnt know i had to stop further problems. Staff were very polite and knew what they were talking about , the advice was clear and understood . Good old fashioned customer service which is very difficult to find these days. Good quality, fast service. Friendly staff. Rapid service, really pleasant, friendly, helpful staff. All very polite. Good service and information from branch staff.